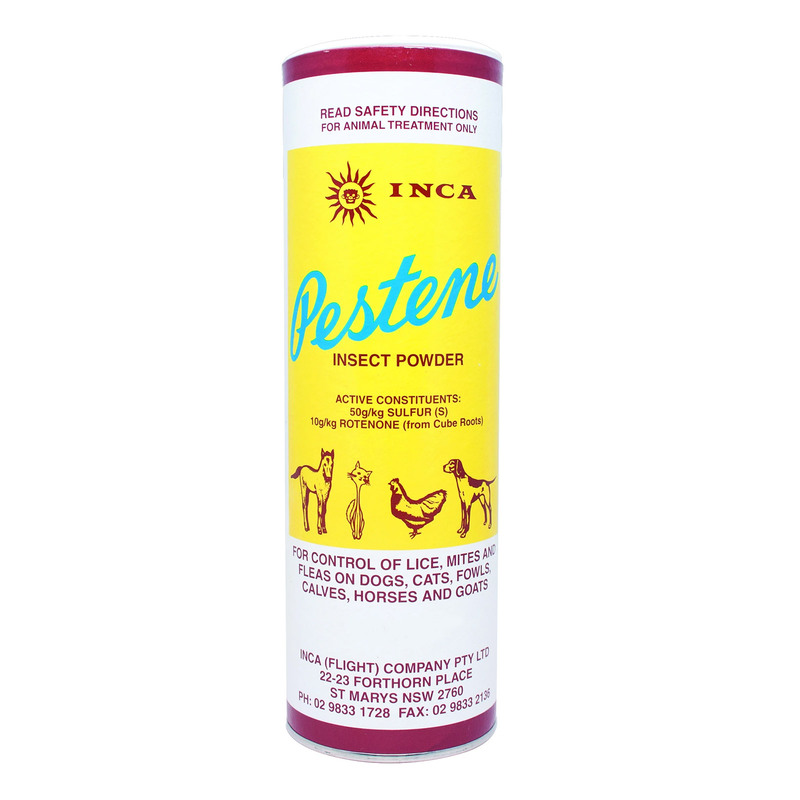 Inca Pestene Insect Powder is specially designed for treating and controlling parasites on animals. It treats and controls fleas on dogs and cats. Regular usage helps in preventing flea infestation. Apply to the coat particularly around neck, chest and back. Work in against the hair and comb through the coat. Remove excess powder with a damp cloth. Dust pet after each wash.
Sprinkle through the feathers: under the wings and around the neck, breast and vent at weekly intervals. Apply liberally to nests and nesting areas. Sprinkle lightly over the body and work into the skin. I have a bunch of fowls in my backyard who were infected with mites. I applied this insect powder on all of them and within a couple of hours, I noticed changes. A good and effective product it seems.